The Town of Dover, NY, processes up to 300 land or building permits per year for 3,700 land parcels. Before the town integrated Laserfiche with its land use software, the permitting process was paper heavy and inefficient. Here is how this integration has expedited the permitting process. In the past, all paper documents related to a parcel were stored in one file folder. Documents were never discarded, so file folders could end up being as thick as three inches. Sometimes documents were borrowed and never returned to the folder. making them difficult to retrieve in the event of an audit or Freedom of Information Act (FOIA) request. Laserfiche is now integrated with Municity land management software, which enables building, planning and zoning departments to track, access, and archive permits, photos, maps and more. 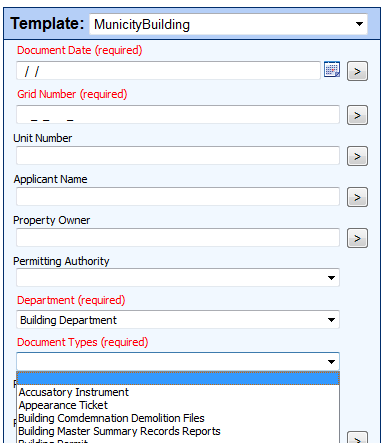 When a resident applies for a building permit, he hands the paper application to the clerk who inputs the information into Municity and scans the application into Laserfiche. As part of the scanning process, the clerk fills out the associated template with required information. 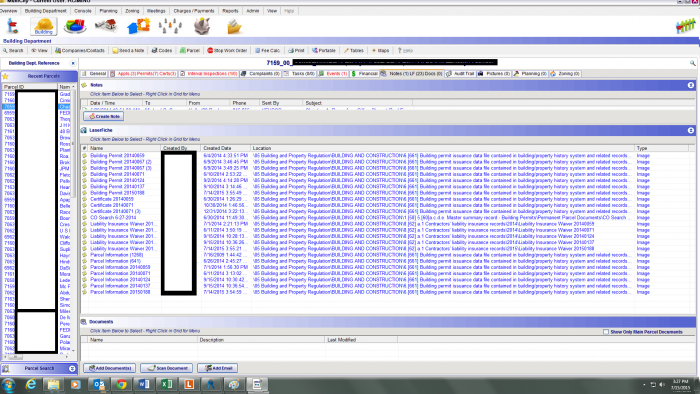 Information in templates allows users to retrieve documents and enables process automation. Laserfiche Workflow automatically renames the document to Document Type Grid Number, allowing users to tell what type of document it is without opening it. Workflow then automatically routes the different parts of the application to the appropriate records folder based on document type. Retention is automatically applied. Laserfiche Records Management Edition allows retention to be applied to all records automatically. 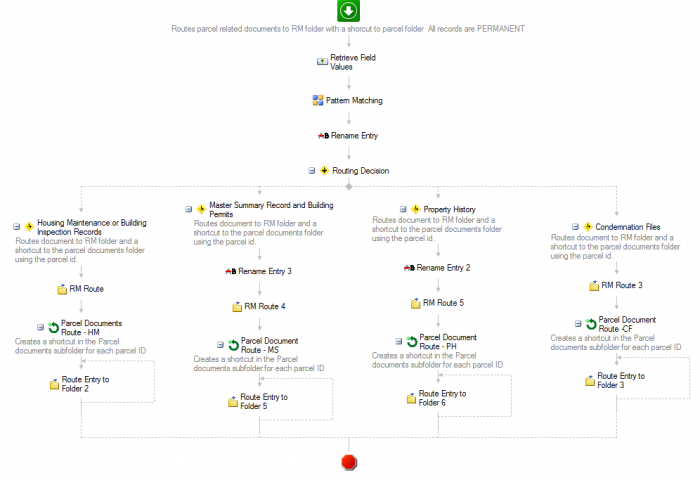 Laserfiche Workflow automates the routing and renaming of all permits and related documents. Municity is integrated with Laserfiche through the Parcel ID. 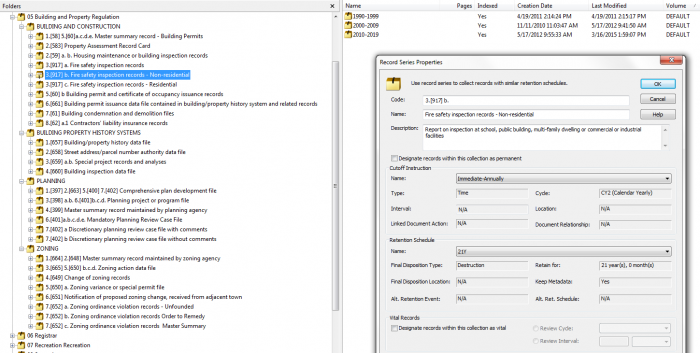 When an employee, such as the building inspector, logs into Municity, he can access all documents related to a parcel from the “Notes and Docs” tab. Users can access all documents related to a particular land parcel directly from within Municity. While the inspector can make annotations on documents, send notes to another inspector and apply security on those notes, the original document is never altered. It is easier to comply with FOIA and other regulations since documents are now instantly available. For example, a FOIA request to retrieve 50 land parcel documents takes only minutes to fulfill with Laserfiche, but it previously took several days. 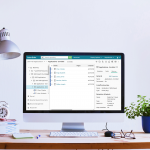 Laserfiche Records Management Edition stores documents and automatically applies retention while giving users the ability to access all documents related to a parcel from one folder. Laserfiche allows for all types of content (i.e., emails, maps, paper files and microfilm) to be stored in the same folder, simplifying access to any parcel document. All records are readily available in Municity. 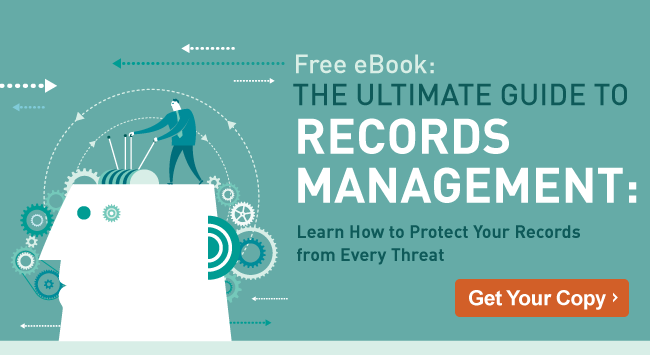 Start automating records management with this free guide.